It appears that someone just boosted the process of malwares and viruses this week; we have seen a rapid increase in the presence of malwares and viruses attacking several operating system malwares. Earlier this week, we have reported that Apple’s OS X was targeted by a Flashback Trojan due to a loophole inside the Java Runtime, which actually allow hackers to gain access over the operating system and the malware bot expand itself to more than half-million Mac OS X running machines world-wide. It is now reported that Google’s Android platform is also targeted by some malware tool that is spreading rapidly across the devices. The new malware on Android devices is making its way to the devices through the Android’s one of the top 10 applications, Angry Birds Space. Yes! We are reporting right. According to the security research firm, the Angry Birds Space for Android is targeted by hackers this time to expand their explicit codes on a wide range of Android devices. Reportedly, the attackers are using an old Android malware exploit named “LeNa” which was recently used by security firms to remotely root the Android devices without acknowledging the user, and gain access from the devices. The malware LeNa is upgraded to a new version with its return on Android platform with Angry Birds Space for Android, and now the malware becomes more powerful in breaking the Android’s real security and brings the user data in danger. It is reported that the infected Angry Birds Space for Android game is not present in the official Google Play Market, instead the hackers have attempted to launch it on third-party Android stores, where no one checks the application deeply and rejects them. We believe that hackers tried to modify the original game for the Android devices, and embedded their own code inside the game and then releases it on third-party Android Stores for free of cost, and therefore, the users rapidly install the game on their Android devices. 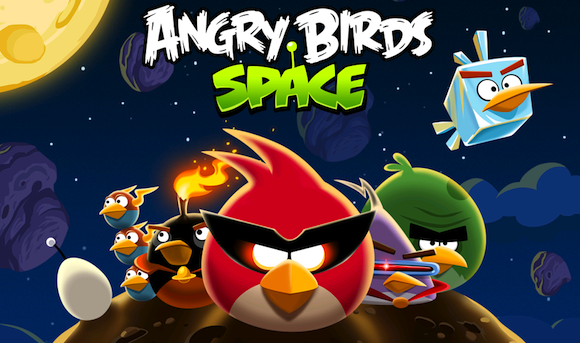 If you are thinking to download the Angry Birds Space for your Android, then, please make sure while installing that you are downloading the correct and legal application from the Google Play, not from any other third-party Android Market.